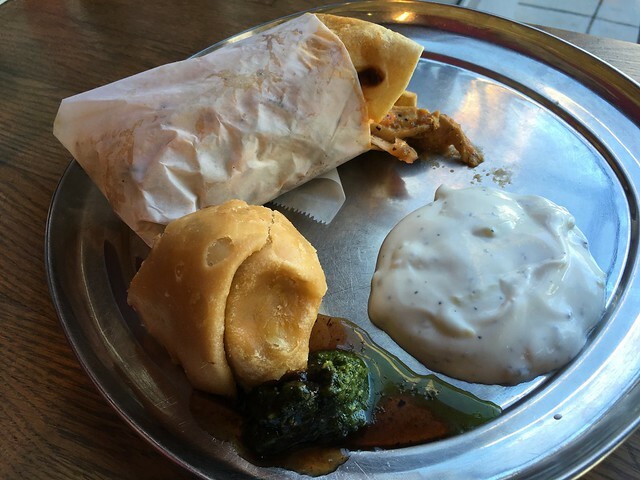 Mmm, I love the Indian street food at Kasa. The flavors are great and the prices won’t break the bank. Yum! This entry was posted in Kasa Indian Eatery and tagged chicken, chutney, food, Indian, katiroll, samosa, tikkamasala, tzatziki by vicentesf. Bookmark the permalink.